It has been a long time since audiences have witnessed their favorite creepy family and now, The Addams Family is making a comeback. The creepy, kooky family has a new CGI animated film coming later in October of 2019 as a new reboot of the property since The Adams Family Values in 1998. The first trailer for their new CGI film has been released after over a 20 year-long hiatus in theaters. The trailer starts out with Morticia and Gomez Addams (voiced by Charlize Theron and Oscar Isaac) moving into a new haunted house. The trailer then showcases various gags dealing with them and the other family members including Wednesday Addams (Chloe Grace Moretz), Uncle Fester (Nick Kroll) and Pugsley (Finn Wolfhard). These include a gag referring to Stephen King’s It and a reference to the broad game, Battleship, as well. The trailer did not showcase much of the plot but it has been confirmed that the Addams Family will be facing off against a greedy reality TV host while also preparing for their extended family to come to their home. 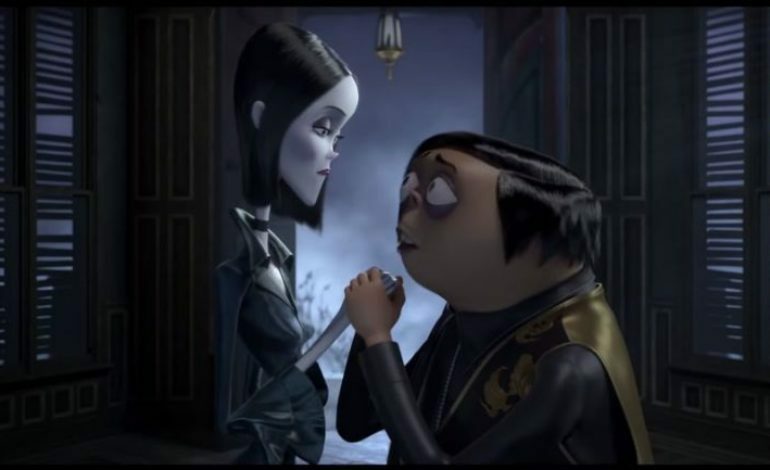 The film seems to contain the spooky ambiance The Addams Family is known for and their new CGI designs are similar to the original designs from the comic strip they’re based upon. Overall, the film seems like a fun Halloween film for kids and given the October release date, it’ll certainly be one to watch this Halloween season.